These are rigid and non-separable (in the majority of cases) radial bearings. The possibility of using a particularly tight fit where the outer and inner rings are concerned makes these bearings especially suited for use in applications where vibrations or shock load are a regular occurrence. The radial loads and speed ratings are relatively higher in comparison to other roller bearings. 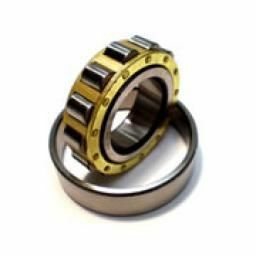 Although primarily for radial loads these bearings can be purchased in several variations allowing them to accept limited amounts of axial load in one or both directions.